LG's coming out with "thinking smartphones"
Because tech usually flows a certain way, it's not entirely difficult to predict the steps a company can take. However, this one, we didn't expect at all. Managing Director of LG Mobile Communications Kwon Bong-suk, divulged the Korean titan's plans to launch a "thinking smartphone." The difference? A product that is more intelligent and responsive to the user's needs. He cites an everyday situation where the user sets his alarm for 6:00 AM but your smartphone is alerted that there's high traffic on the way to work and wakes you up half an hour earlier than the time set to make sure you're not late to the office. Being from Metro Manila where the commute to and from work is more than abysmal, we're pretty familiar with this scenario. "Preparations for the development of the thinking smartphone are underway," he says. If there's any platform that LG can build this revolutionary phone on, it's probably Android. LG has been getting some buzz lately from their collaboration with high-fashion house Prada on the LG Prada 3.0, but with regard to the thinking smartphone, we're hopeful that it'll fly although, you have to admit, it's also kind of nervous to have someone something else think for us. 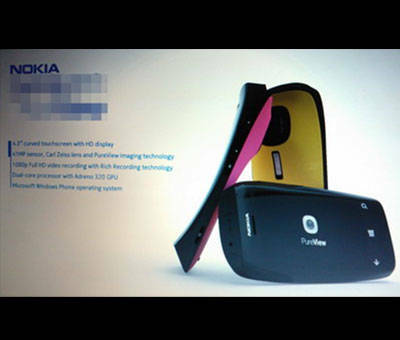 Is this the upcoming Nokia Lumia PureView handset?